There are far worse fates in life than to be handed the keys to an all-new 2015 Lamborghini Huracán LP 610-4—far, far worse. If said keys were to be given during this holiday season, well, all the better because this supercar is, arguably, the best all-around offering ever from the storied Italian brand. This boost in performance enables the Huracán to rocket to 100 km/h in just 3.2 seconds, two-tenths faster than the quickest Gallardo could ever manage. Heady stuff. The new seven-speed dual-clutch transmission is far better than the e-gear semi-automatic transmission used in the Gallardo. In many ways, the e-gear was the limiting factor in the performance of the Gallardo—and these limits have been removed once and for all. On track, the latest Lamborghini is wildly entertaining. The torque of the V10 comes on earlier than it did in the Gallardo, which means the car is quicker to launch out of the corners. The all-wheel drive system on the Huracán proves a worthy accomplice here, putting the power to the ground effectively and leaving no pebble unturned in the pursuit of sheer, unbridled fun. There’s another advantage to driving a supercar equipped with all-wheel drive—inclement weather becomes far less of a concern. In fact, the Huracán is so adept in slippery conditions, you can now experience its capabilities on the highest altitude racetrack in the United States—Aspen Motorsports Park in Colorado. 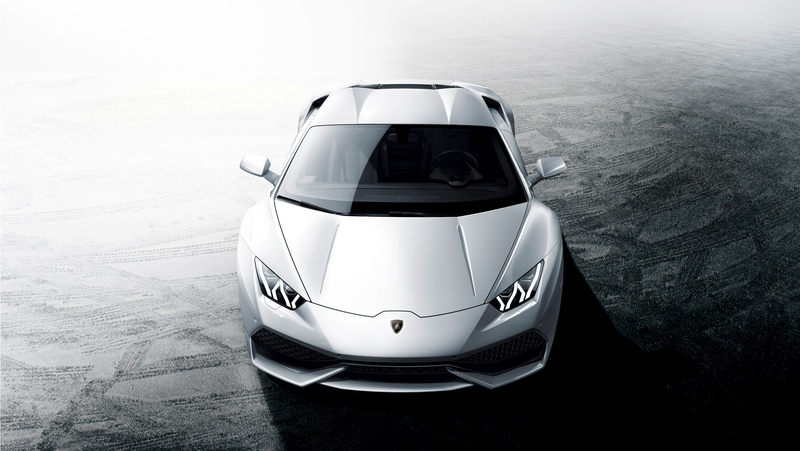 This new addition to the Lamborghini Accademia slate of advanced driving experiences takes place February 2015, and the ice-covered course is a very nice consolation gift should the Huracán itself not make it to your household this holiday season. Photo and video courtesy of Automobili Lamborghini.